Psyche conjunct Pluto makes a good criminal psychologist, occultist, astrologer, black magician. The house where it falls tells about the place where this skill will find an outlet. Psyche conjunct Neptune makes a good artist, story-teller, magician, healer, spiritual guru and clairvoyant. Psyche conjunct Uranus makes a good scientist, inventor, computer expert, breakthrough visionary and a revolutionary. Psyche conjunct Saturn makes a good judge, disciplinarian, teacher, leader and iron worker. These people rise on their own in their lives with their own vision and intellect. Psyche conjunct Jupiter makes a good administrator, businessman, philosopher, teacher of spiritual pursuits and knowledgeable about languages and their origin. Psyche conjunct Mars makes a good warrior, leader, military commander, sportsstar, sportsteam captain an expert fighter. It also makes a intuitive, spontaneous military leader, martian sportstar, fighter who is a self-taught achiever. Psyche conjunct Venus makes a intuitive make-up artist, designer, actor, fashion model, jeweller and connoisseur of fine-arts. Psyche conjunct Mercury makes a refined communicator, self-taught learner, self-taught language expert, intuitive or spontaneous writer, intuitive or spontaneous poet, refined poet, refined writer, expert radio-jockey, clairvoyant, occult writer, spiritual medium. 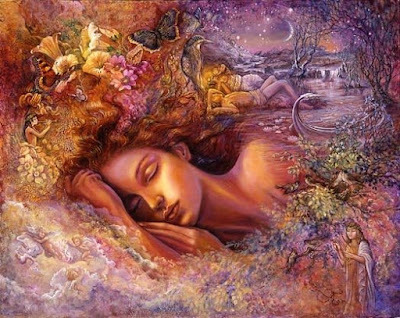 Psyche conjunct Moon means ESP power, highly-tuned intuition, self-taught cook, precognitive dreamer, intuitive artist, psychic artist, emotional artist, refined emotions, tuned higher-consciousness, refined feminine side, psychic, divine mother or connected with her. Psyche conjunct Sun means refined actor, self-taught actor, intuitive political leader, intuitive royalty, self-taught royalty, divine royalty, charismatic leader, highly conscious king or leader, divine father or connected with him. Helpful and supportive leader. Psyche is always self-taught, intuitive and refined. You can interpret the same qualities for the zodiac signs ruled by the above planets. Just keep in mind the elements. In synastry, Psyche gives you the insight into the other person's mind depending upon the planet she touches. Psyche is also connecting so often when you find Psyche connections in synastry they feel divine and made in heaven. They always carry a universal quality to them. Keep visiting for the next article on Asteroid Eros in Your Natal Chart and Synastry! Asteroid Psyche in 25 deg Taurus in the 11th House, square Pluto in Leo (25 deg) in the 2nd house and sextile the Sun (23 deg) Asc (24 deg) and Uranus (27 deg) in Cancer. hi1 would and oppossition of psyche moon means something similar to the conjunction if is an exact aspect? greetings! Are you saying moon and psyche opposition? Conjunction and opposition are not same. Conjunction is being on the same page while opposition means being on the opposite. However, every opposition has a similarity that keeps the two parties attached. In the case of Psyche and moon, there will be understanding of the core level yet the outside views will differ to the extreme. how can I interpretate that aspect?, i have it exactly!